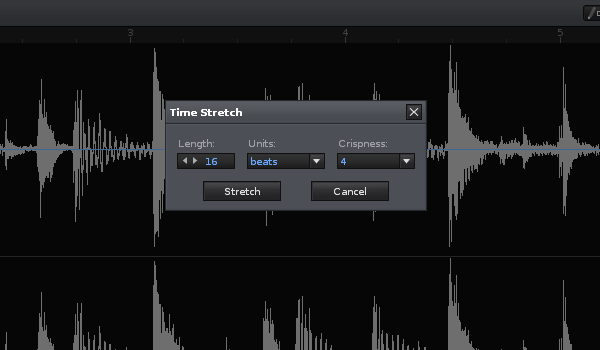 The Rubberband Timestretch/Pitch-shift Tool brings Time Stretching and Pitch Shifting features to the Sample Editor. Inserts "Timestretch..." and "Pitch Shift..." entries into the Process submenu in the Sample Editor. Allows the user to make precise time corrections to the samples to match the song tempo, or to create interesting effects like pad instruments from short stab sounds. The program uses open source Rubberband library, Windows and mac binaries, on Linux, the rubberband utility must be installed manually by issuing a command "apt-get install rubberband-cli" or what ever equivalent of your system. v0.7 upgrades rubberband binaries to latest upstream version.